There are a lot of computer training courses. These courses are divided in different segments as per the different degree types. The degrees are awarded at different levels, including certificates, associates, bachelors, masters, and doctorate. The student is awarded the particular degree as per the degree level they choose. The difference in different degree levels is their time period, value, as well as the course structure. This means that each degree level has a different time period, along with a different value attached to it. For instance, certificate courses are for only some months and bachelor courses are generally for two to four years. Like in all other areas, in computer technology too there are different degree levels. However, in this article, we have covered only the associate’s degree programs in computer technology and that too the best ones. These associate degree courses are the most in demand and the most popular ones. 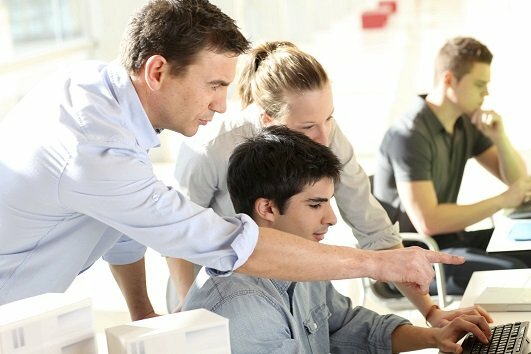 So, let us have a look at the top 15 computer training associate degree programs for students who want to make their career quickly in the field of computer technology. This program is all about computer applications. Students will get to learn A to Z of computer applications in this associate degree program. At first, the course will provide a basic understanding of the main concepts of computer applications to students. It is important that students should already have expertise in the hardware and software of computers, then only they will be able to grasp this course. As the name suggests, the computer fundamentals program offers students the basic knowledge about computers. It allows students to get into the world of computers, so that they can further pursue some technical course in Computer Technology, such as an associate degree in Computer Information Systems. Since, this is an online program, students do not have to attend regular classes for it like other courses. They can just do this program from anywhere, as they require only an internet connection and a computer. Moreover, students can study this program as and when they like at their own pace. This enables students to complete their degree within the time frame they want, since they can move the program as per their preferences and schedule. The computer information systems course teaches the administration and implementation of technology. It also includes coordination and planning of several activities, such as upgrading and installation of hardware and software, systems design, and computer programming. The Computer Game Programming Associate degree course is for students who like playing computer games and want to develop computer games. This course provides all the necessary knowledge about the production of a computer game. The Computer Science Associate's Degree Program includes software maintenance and development. Plus, it also includes creation, fixation, as well as maintenance of computer applications. 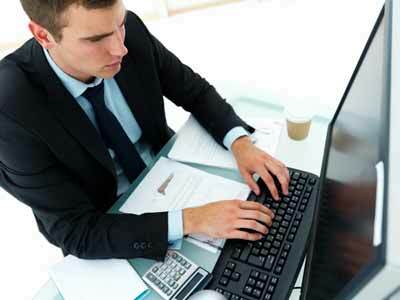 An associate degree in Computer Database Design deals with the knowledge required to manage electronic information and database. In this program, students learn how they can store, update, and maintain electronic information for a business or organization. Students also learn about the structure and methods of different types of databases in order to access and update information on the database. Students get to know about the functioning of databases, their administration, integration of old data into new systems, etc. In this course, students learn how to securely organize and arrange the vast information collected by any company or organization. They know how to categorize this type of information, so it can be retrieved quickly as well as efficiently. The course also deals with security of such information. In order to enroll into this course, students must have some technical knowledge in computer science and information science, in addition to good analytical skills. Upon successful completion of the Computer Database Technology program, students can become database managers within an organization. An associate degree course in Computer Hacking teaches students about different security systems, technological tools, and computer hacking techniques. The program is meant for those people who have an interest in hacking. When such people obtain an associate’s degree in Computer Hacking, they reach the next level of capability and skill of computer hacking. Students taking this course can learn about the inside knowledge of network and computer security systems. Additionally, they also learn how to break into different types of security systems. The Associate's Degree in Computer Information Technology comes with Business Systems Analysis emphasis. The program primarily teaches the fundamental knowledge, understanding, as well as specialized skills about the core areas, like systems design and analysis, computer programming, network administration and architecture, database design, web technologies, application implementation, development and maintenance, etc. Besides these, students are also prepared to handle Abstract and Linear Algebra, Discrete Mathematics, Mathematical Statistics, Probability, Differential Equations, and Mathematical Modeling. The associate degree program in Computer Programming teaches the various aspects of computer networks. It teaches students how to build secure and reliable networking structures for companies. In addition to this, students also learn about the different types of computer network security features, its functions, examination, maintenance, as well as modification, along with software development and updating, computer programming, hardware administration, coding languages, database management and technology, and other general IT functions. 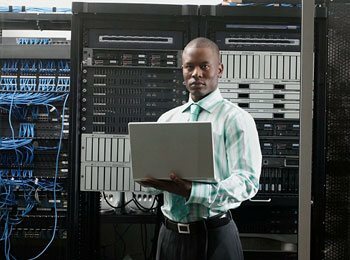 The associate degree program in Computer Network Administration is for students who are computer geniuses and have an interest in the computer networking field. In this program, students learn how to professionally transmit information and analyze and store this information. Students can also take a major in computer science, management information systems, or information science, within their coursework. As the name suggests, an associate’s degree in Website Design teaches students how to design a website, so that users can have a convenient, useful, as well as an exciting web experience. The course includes everything related to website artistry to its coding.